DrinkWire is Liquor.com's showcase for the best articles, recipe and reviews from the web's top writers and bloggers. In this post, Drinking in America offers a collection of cocktails from around the web that will help you say "who cares?" to winter weather. While some may drink for pleasure, today we shall drink to forget: Forget that frozen water is falling all around us, causing us to have ice dams, forcing us to shovel, and making us feel cold ALL THE TIME. Here are our 5 favorite “Warm Up and Forget Snow Exists” cocktails to sip on until April. Probably more like May. 1) Hoppin’ Hot Scotch. 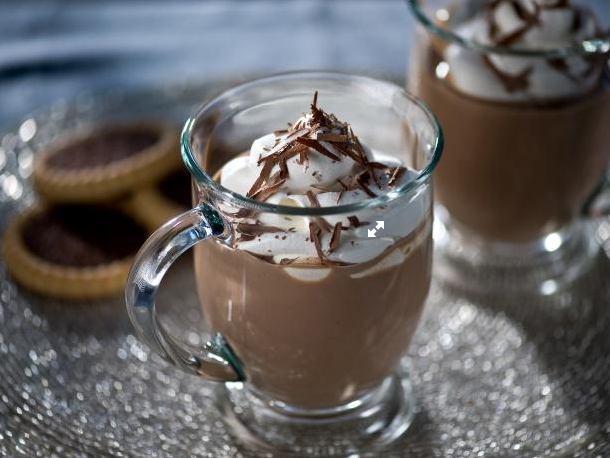 A concoction of butterscotch schnapps, hot chocolate, and amaretto from The Food Network. Top is off with whipped cream and chocolate shavings if you’re feeling particularly Ina that day. 3) Hot Pumpkin Buttered Rum. If you can’t beat the pumpkin, drink the pumpkin. Dark rum, brown sugar, pumpkin pie spice, a pinch of salt, and a whole lot of melted pumpkin butter will set you right after tomorrow’s weather report. 4) Leftover Pecan Pie Bourbon Shake. If you want to laugh in the face of Jack Frost, or you just need to cool down after shoveling endless mounds of snow, mix up Delish’s vanilla ice cream, bourbon, and chopped pecan pie smoothie masterpiece. 5) Triple Threat Julep. Show snow who's boss by using it to make this part-snow cone part-cocktail concoction. You’ll also need some mint, Drambuie, Auchentoshan American Oak, Meletti Amaro, Clear Creek’s Douglas Fir Eau de Vie, Pear Brandy and a little ginger. The post Warm Up and Forget Snow Exists Drinks appeared first on DRINKING IN AMERICA.